Happy Friday everyone! Today I have an exciting review to share with you, Urban Decay's Glinda Palette. 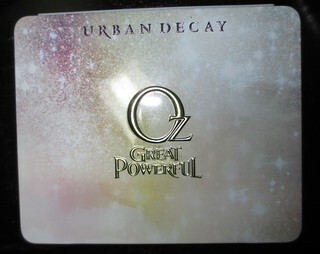 UD recently released two limited edition palettes to go along with the new Oz movie. I picked up both the Glinda and Theodora Palettes from Sephora, and I've been loving both. "Inspired by the Disney film’s theme of good witch vs. bad witch (and the good witch/bad witch dichotomy in all of us), Urban Decay created two collectible palettes loaded with beautiful, never-before-seen shades. Recreate Glinda’s ethereal, spellbinding look with eight all new and exclusive eye shadows in six pans (this set includes two duo-shades that are split in half, with a different color on each side of the pan). Every shade features Urban Decay’s Pigment Infusion System™, the proprietary blend of ingredients that gives each shade its velvety texture, rich color, serious staying power, and blendability." The Glinda contains 6 full size eye shadows, a travel sized 24/7 Glide-On Eye Pencil in Rockstar, and a full size Super-Saturated High Gloss Color in Glinda. Tornado (vibrant deep purple shimmer), Aura (iridescent white with blue shift and iridescent white with red shift), Magic (pinkish purple with golden shimmer), Illusion (pale peach satin), Oz (gold with gold glitter and silver with silver glitter), South (warm pale gray shimmer with silver micro-glitter). I've been loving all of the different looks I can achieve with this palette! 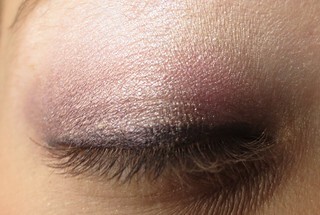 I've really been loving using Magic all over my lid, Tornado and South in the crease, and then Aura as a highlight. 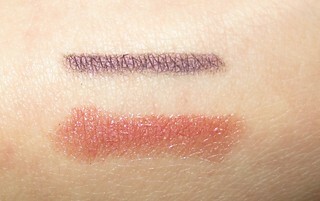 The 24/7 Glide-On Eye Pencil in Rockstar is amazing too! The pencil is so creamy and the colour really does just glide on effortlessly. All of the shadows are very creamy and pigmented, and the lasting power is amazing. My shadows stay in place all day long, whether or not I use a primer. The Super-Saturated High Gloss Color in Glinda is alright, but I do find it a bit drying. I also don't find the colour very flattering on my skin tone, but that's just a personal preference. I would also like have seen this pencil in twist up packaging (like the Revlon Just Bitten Kissable Balm Stains), since sharpening lip pencils are such a pain. Overall, I'm really impressed with this palette. I find all of the shades to be very wearable, even though they aren't nudes. I love that the packaging includes a build your own palette. If you completely finish one of the shadows, you can remove the pan and replace it with another one of Urban Decay's shadows. 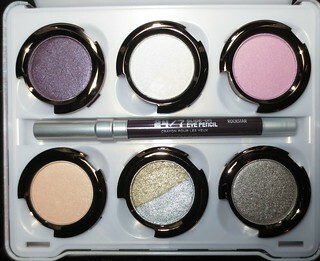 The tin that the palette is housed in seems very sturdy, and I think it would be great for travelling! The Glinda Palette is $58 CAD, which is great value, considering a Super-Saturated High Gloss Color is normally $23 on its own, and each shadow is normally $22 each (so you are getting $132 worth of eye shadow alone in this palette!). Have you picked up either of Urban Decay's Oz Palettes yet? What do you think about The Glinda Palette? I'm SO SO happy that I decided to keep both palettes!! I've worn them both this week and love them!! Thanks for inspiring me to keep this one!! This is the one I was kind of on the fence about! Happy Friday! I am so glad for your beauty blog and reviews, that encouraged me to get both and I am so happy I did! These are perfect for everyday and the lip pencils are my favorite discovery in these. I was excited that they are full sized shadows and then the lip pencil was a bonus.